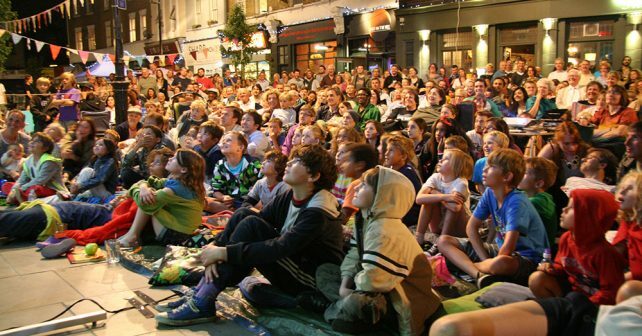 Get your picnic blanket ready, the Herne Hill FREE Film Festival is back. The month long community-run festival includes screenings, parties and talks – indoors and open-air – across South East London covering a variety of Hollywood blockbusters, indie masterpieces and cult classics. Highlights this year include screening of an urgent and fascinating film Dispossession with Q & A about social housing, a showing of Beats Of The Antanov about the Sudanese struggle with an after party, a fab sounding invite to 80s classic Little Shop Of Horrors at Brockwell Park Community Greenhouses plus Japanese fantasy anime film The Red Turtle at Herne Hill Baptist Church. There’s loads of other things going in addition to the films. Highlights include kids’ drama workshops, live music events and a photo exhibition. There’s also a chance for little ones to unleash their inner Michael Moore and learn how to shoot their own documentary!